Happy Holidays! New for 2018, our Countryside Christmas tins are filled with your favorite treats. 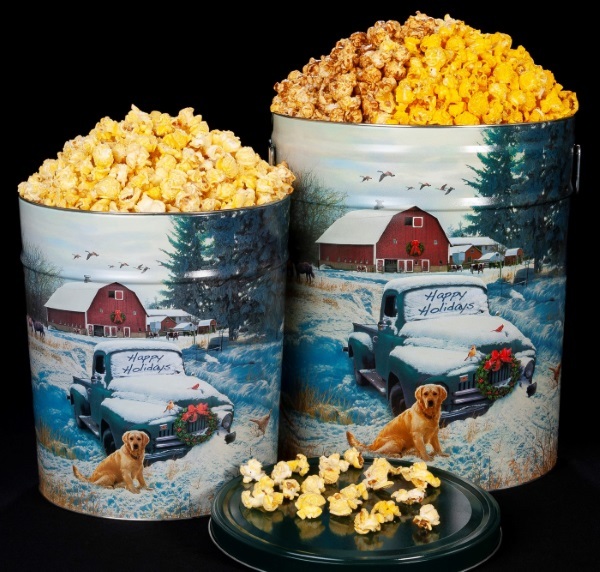 The 6½ and 3½ gallon tins are filled with All Buttery Flavored Popcorn or a 3/way combination of Caramel, Cheddar Cheese and Buttery Flavored Popcorn.